Supporters of Poland’s ruling party Law and Justice (PiS) rally for a pro-government demonstration, December 13, 2015 in Warsaw. AFP PHOTO / Wojtek Radwanski. The electoral victory of the Law and Justice Party (Prawo i Sprawiedliwość, PiS) has initiated a number of changes. Being a conservative party and appealing to right-wing resentments, historical politics were always an important part of the party’s policies. A ‘fair and honest’ historical politics were a way to build a new national identity and an important part of the party’s program and rhetoric. The principles were nothing new: similar issues were raised since the transition of 1989 and a way to deal with the communist past. In those days the Commission for the Prosecution of War Crimes Against the Polish Nation was transformed into the Institute of National Remembrance, whose officials have gained authorities as prosecutors, while a separate Education Department was also created. However the pace and the intensity of the recent changes within Polish historical politics suggest there is a new quality to the process and new examples can be found almost everyday. For instance, there is a new law forcing local authorities, to de-communize streets: change all the street names that ‘commemorate or worship the communist totalitarian regime, its activists or any important dates that relate to the Polish communist past.’ Although the first wave of de-communization took place in 1989 and 1990, however in some cities there are still names relating to the past (for instance Polish Army organized under Soviet auspices); it is estimated that the changes will affect 1200-1400 names in the country. In the case of the new law, municipalities have 2 years to introduce the changes. This newly proposed regulation is sparking debates over what are the events and who are the people connected with the communist past. In some cases local PiS activists (city council members etc.) seem to be trying to get rid of any signs of presence of the left in the Polish past. In one of the cases Walery Wróblewski, one of the military leaders of the January Uprising in 1863 was considered a leftist (he later became a general of the Paris Commune) and his name was to be erased from city maps. Others targeted some pro-independence fighters from pre-1918 times who were associated with the left. As a humorous comment, a Facebook profile ‘Żądamy dekomunizacji ulicy Dworcowa’ [‘we demand de-communization of Dworcowa street’] was created. Dworcowa Street can be found in every Polish town with railway access, literally it means ‘Station Street’ (from Polish Dworzec = Station). However, the person behind the Facebook page found that there was one Nikolai Dworcow – a Soviet writer from Stalinist times. Although sounding as a case of Internet trolling, the initiative has found unintended followers: PiS city council members of Cracow included the Mrozowa street on the list of 27 street names to be changed (Mrozowa Street does not relate however to any communist named Mrozow, it comes from Mróz – Frost in Polish). In other cases people are trolling during public hearings at local and city councils demanding their claims to be included. Another example is the case of the Polish Communist Party (Polska Partia Komunistyczna, KPP). Recently four of its activists were sentenced in a default judgment (without the presence of the sides) to 9 months of community service for ‘promoting a totalitarian regime’ that is Article 256 of the penal code. The person that notified the prosecutor’s office was PiS MP Bartosz Kownacki (now secretary of state in the Ministry of Defense), and he already tried (without success) to notify the prosecutor’s office in 2013. Although the party activists appealed and are facing a full trial, controversies are being raised over the logic of the cause. Article 256 states that: “Whoever publicly promotes a fascist or other totalitarian system of state or incites hatred based on national, ethnic, racial, religious or due to lack of religious beliefs, subject to a fine, imprisonment or imprisonment for up to 2 years.” KPP claims that it has 1000 members (and this is also the circulation of their party’s newspaper ‘Brzask’ – ‘Dawn’), political scientists claim that there are no more than 50 active members, mostly advanced in their age and for the years after 1990 (the year of introduction of Article 256) no one paid any attention to the KPP, ‘Brzask’ or their website. KPP is associated with rather elderly activists and are usually not considered as a potential ally for other leftist activists and are often isolated. The Communist Youth Group (Komsomol) was attacked by other protesters at an antifascist demonstration in November 2015 after they took out red flags with hammers and sickles and flags of North Korea. In the end they were escorted by the police out of the demonstration and later charged with Article 256 as well. Lack of significance of the KPP might suggest that the case against KPP and the attempt to de-communize street names goes along the logic of anticommunist struggle fuelling the policies of PiS. At the same time it could be an attempt to test public opinion in how far authorities can go with securing their position on the political scene. So far such an attitude is causing little resistance. The electoral victory of right wing parties (there is no leftist party in Polish parliament at the moment) is no coincidence and right-wing tendencies are particularly strong among young people. For instance increasing focus is being put on the anti-communist underground struggles of the late 1940s, reaching sometimes grotesque levels, such as the re-enactment of the 1931 wedding of Witold Pilecki on May 8th in a church in Ostrowia Mazowiecka, at the presence of the Minister of Culture and National Heritage. 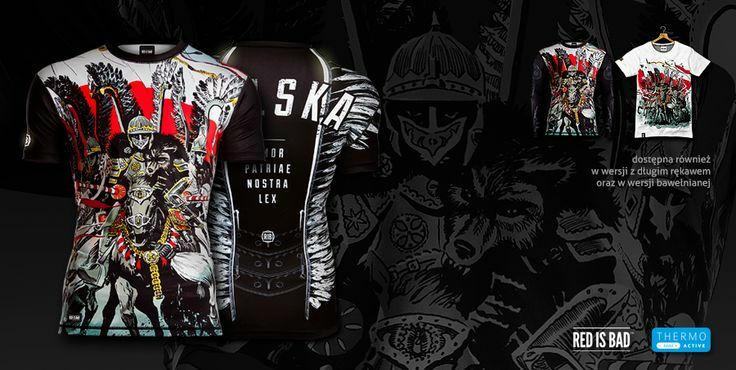 The popularity of such rhetoric is expressed also in the popularity of ‘patriotic streetwear’ (with brands such as ‘Red Is Bad’ worn even by the president of Poland) and slogans raised / exhibited at football stadiums. This situation might have some far-reaching consequences as not only the memory of things that happened during communist times might be eradicated, but also anything associated with the left or even anything that remotely might resemble the left. An issue that might be pressing even long after the change of power in Poland reinforcing the discursive and political opportunity structures available for political actions. 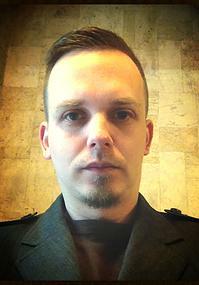 Grzegorz Piotrowski specializes in social movements in Eastern Europe. He received his PhD from European University Institute in Florence defending his dissertation on the Global Justice Movements in Central and Eastern Europe. He has since worked at Collegium Budapest and the Centre for Baltic and East European Studies (CBEES), Södertörn University.